I think I speak on behalf of the world population when I say that there's nothing we need more than Chris Evans at all times. 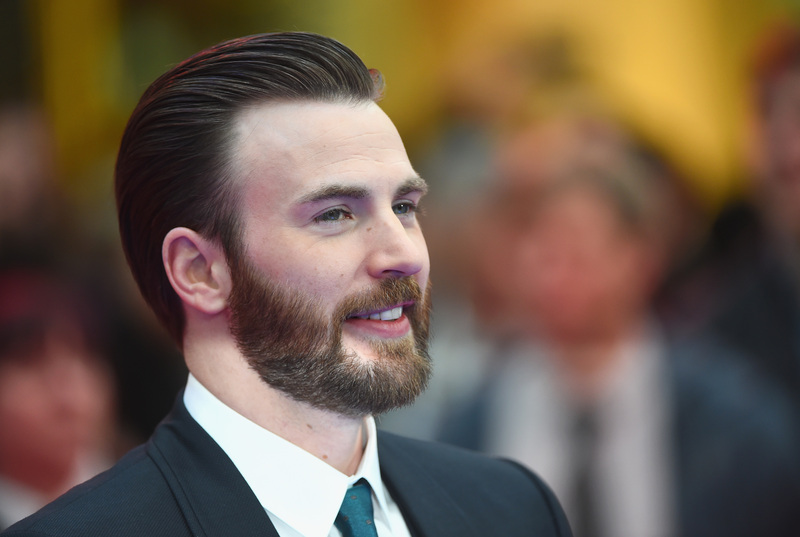 Evans is, quite simply, a delight, and his latest promotional rounds for Captain America: Civil War prove that what the people really need is their fair share of Evans on the regular. He's adorable and seems like a blast to be around. And he's great at so many things beyond just lookin' hot. But recently he proved that there's one thing he's really, really bad at... and he definitely shouldn't quit his day job. The cast of Captain America: Civil War sat down with E! News and were given an interesting task: each star had 30 seconds to draw Captain America engaging in various activities, from playing basketball to riding a horse. The results ranged from impressive to ridiculously bad, and Evans proved he's hardly a Van Gogh in the making. Evans drew Cap playing basketball, and he managed to be quick, getting it done in a mere 20 seconds, but the result was pretty much just a stick figure throwing a basketball at a hoop. He gets an A for effort, but perhaps should stick to acting. Evans' fellow cast mate Elizabeth Olsen flat-out admits she's not a good artist before trying her hand at Cap walking a dog, and Don Cheadle draws the superhero with a cat beneath his feet, taking pride in his artistic abilities over Evans, joking, "zoom in on that... beat that, Chris Evans." The other actors are also apprehensive about their own abilities, but seem to have fun with the task. As for the best 30-second drawing? It's gotta go to Paul Rudd, hands down. His rendition of "Captain America on a horse" was actually pretty good, and could definitely be at home in a comic book-themed exhibit somewhere. So, Evans may not be an artist on the rise, but that's OK — he's also a really great dancer, as he proved on The Ellen DeGeneres Show with Olsen, when he whipped out his best "Voguing" and "Running Man" and pretty much floored the audience. He's also scarily fantastic at terrifying his poor, unassuming costars, having scared Scarlett Johansson back in 2015 and Olsen, both on DeGeneres' talk show. Even though he'll likely never find his work in a posh art museum, he can still fall back on his many other talents... and I certainly hope he does.